Once you’ve added multiple brands/companies to your HoneyBook account, you can easily switch between them to review each brand’s activities. 2. Select the icon for the company you’d like to switch to. 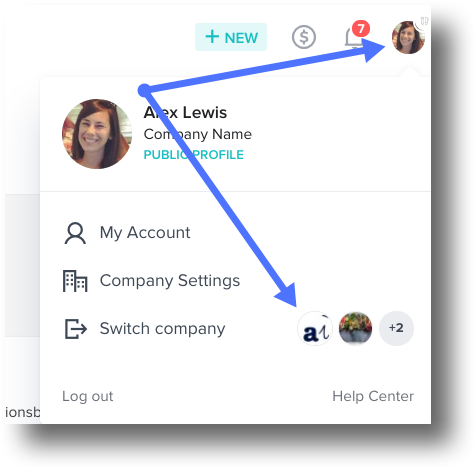 This will take you to the dashboard for the company you selected, which you can manage just like any other HoneyBook account!